Pathways to Peace was a two-year pilot project implemented by Janam Peace Building Foundation in collaboration with the Wildlife Clubs of Kenya. The project came into being following the post election violence that resulted from the disputed 2007 general elections in Kenya. It was designed to resolve conflict and foster reconciliation, peace and security. This was achieved by providing groups of young Kenyans with guided wilderness experiences in the form of 5-10 day outdoor camping expeditions. Awareness and care of the environment plays a key role in the educating that Janam Peace Building incorporates into the program. 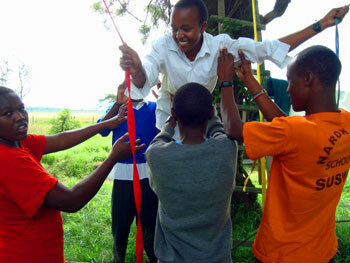 Through the wilderness experience, the project was designed to enhance specific competencies for the participants. These include self-efficacy, intergroup relations and peace advocacy. Pathways to Peace has focused on Kenyan youth between the ages 15-25 with the belief that such work can lead to reconciliation of our entire citizenry; sustainability of a stable government; and Kenya's long term economic stability. 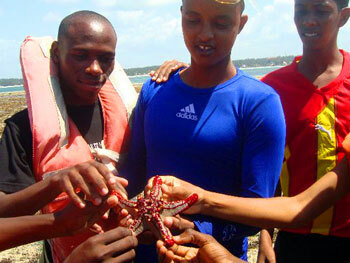 The Wildlife Clubs of Kenya plays a crucial role in recruiting, screening, and educating a wide range of culturally and ethnically diverse young people within Kenya. Janam Peace Building (JPB) courses are intensive wilderness experiences that are carefully structured, share challenges and teambuilding exercises in new environments, allow participants to discover and develop qualities of leadership, compassion, trust, camaraderie and cooperation in them and in others. In 2010 – 2011, JPB courses were conducted for Wildlife Clubs of Kenya Student Leaders and Patrons/Education Officers from different tribes and of mixed gender in different wilderness settings across the country. 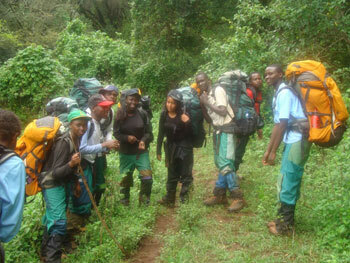 There were two categories of courses; 3 day Orientation Courses and 10 day Wilderness Expedition Courses. Click here for more information about the WCK Student Leaders and Patrons Courses. JPB engaged an independent monitoring and evaluation (M&E) firm, Behavior Change Consult (BCC) in April 2010 to oversee our 2-year pilot program. During the courses indicated above, BCC has conducted baseline survey for participants before the beginning of every course. They also conducted interviews with key JPB Foundation and WCK staff. The baseline survey report was presented to us in August 2010 and set benchmarks for continued evaluation and monitoring of this pilot program. Overall we received very positive reviews from our participants at the end of their course and even while implementing the action plans they had developed during course end. Many of our graduates started running many courses especially back in their schools and the WCK teachers/patrons and Education Officers have conducted workshops for many more teachers across the country. Our peace building efforts were appreciated by many school administrations especially as our country went through the new constitution campaigns, which again polarized the country along tribal and religious lines. A number of student graduates from our program called to inform us how their schools asked them to run peace building training for their entire schools and the great impact this caused in harmony amongst their ethnic/religious student population. It is our hope that we will mobilize the resources necessary for continuing with similar course progression this year. We know that our country will need even more peace building initiatives in the coming weeks, months and years especially as we prepare for the next presidential elections in March 2013. We are glad we are able to contribute to this noble cause in partnership with WCK.